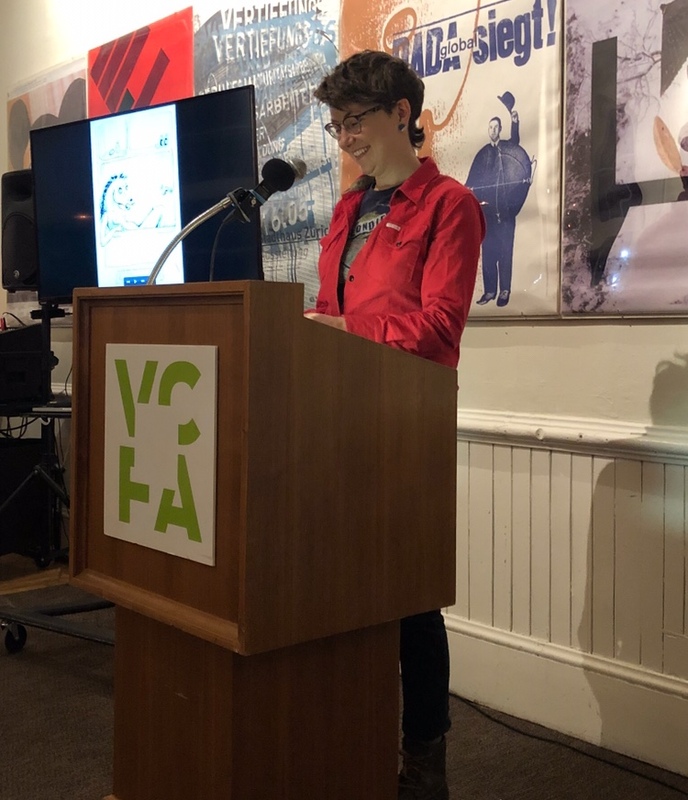 Fiction, Memoir, and Poetry–Oh My! 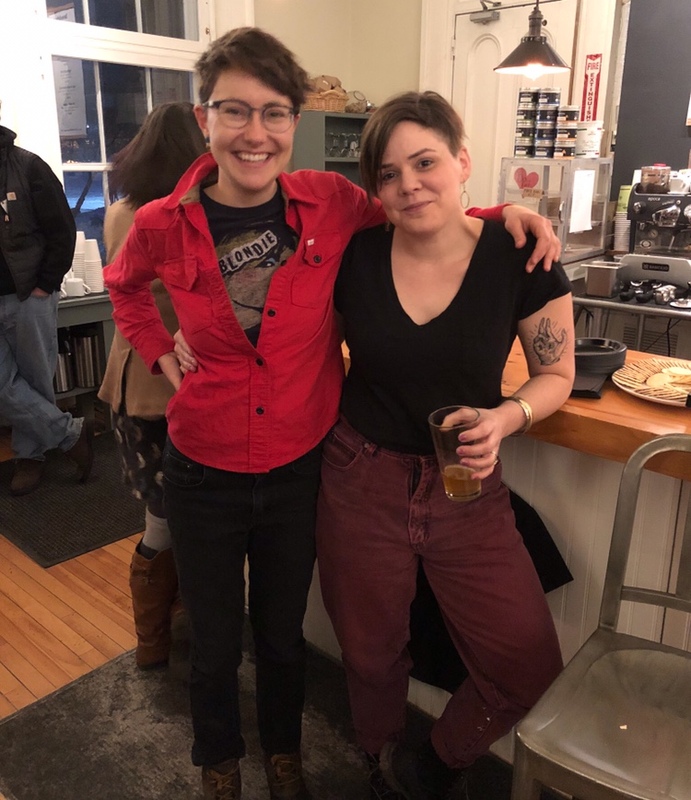 Welcome back to the Frontmatter for spring 2019 here in wintry Montpelier, Vermont! After a restful and re-energizing break, our writers are back on campus! As someone who stayed in the area for most of the holiday break, I can’t tell you how lovely it’s been to begin classes again with my brilliant cohort and our thought-provoking faculty. I was starting to feel like I was haunting the place. 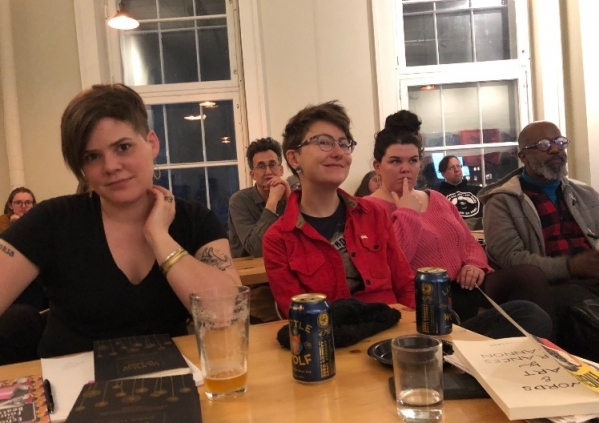 After a few weeks back in classes, our 2019 faculty reading series officially began with a tour de force of fascinating readers: former Program Director and current faculty member Miciah Bay Gault, poet Bianca Stone, and writer and artist Frances Cannon. Miciah Bay Gault began by introducing her upcoming debut novel Goodnight Stranger, which comes out, she announced to much applause, in July. After a quick introduction of the storyline and set-up, she launched us headlong into the story, choosing to read from a section right in the middle of the action. 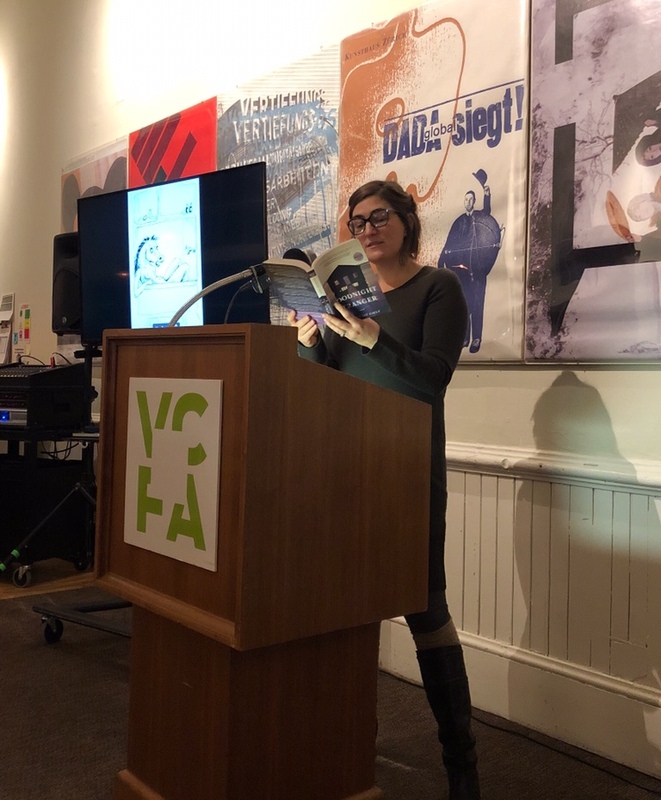 In addition to this reading, I was also fortunate enough to have heard Gault read last year, when Goodnight Stranger was still somewhat in progress. I won’t reveal too much, but it was a treat to slip into the mysterious narrative that Gault has woven together. With its idyllic small-town setting (a quaint New England island, with all the trappings one might imagine!) and the appeal of the characters that inhabit it, the slivers I have been privy to have been fraught with tension and complexity. I—and, it’s safe to say the rest of the audience—eagerly await returning to it after its release. Earlier in the day, we were treated to a discussion between Frances Cannon and Bianca Stone on the role of art and illustration in their work. 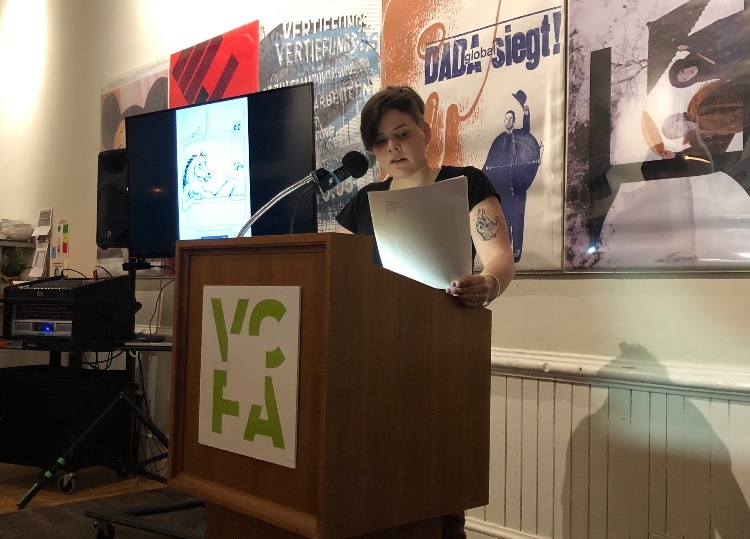 I have no doubt that I would have been caught up in their readings regardless, but it was fascinating to have a different lens, a tutorial on the intersection of the written word and graphic art. 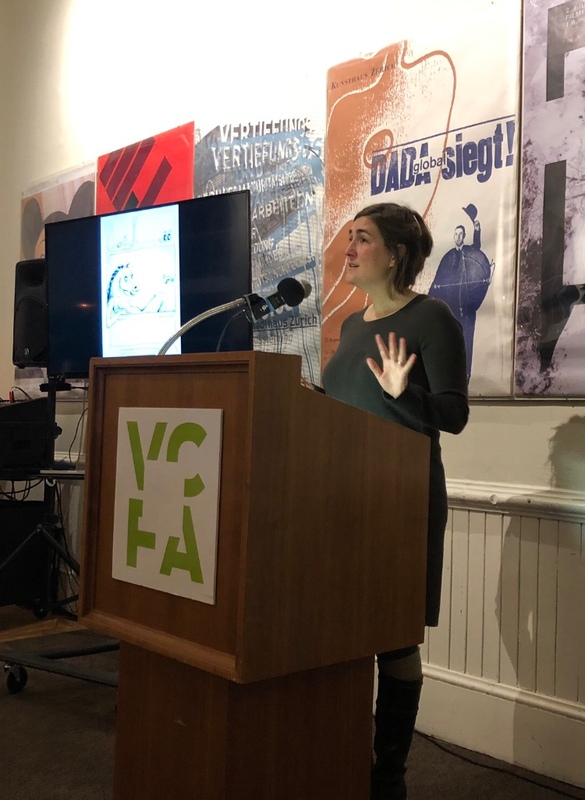 As a selection of Cannon’s illustrations flashed on a screen beside the podium throughout the evening, it was easy to sense the intimate connection between her visual and verbal storytelling. Visually, her style is relatively minimal, perhaps sometimes encouraging the reader to color between the lines themselves. 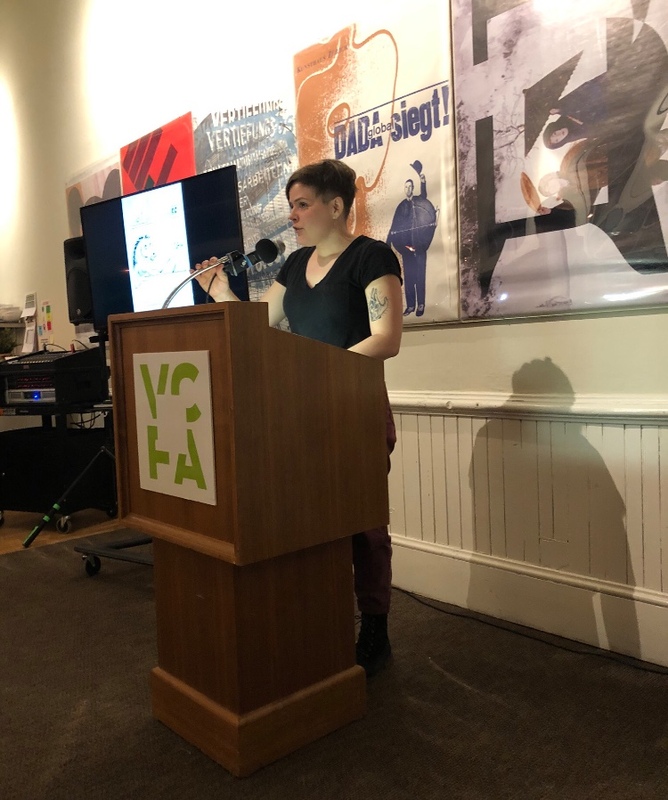 As she read from her recent graphic memoir, The Highs and Lows of Shapeshift Ma and Big-Little Frank (which, sidenote, “easily has the best title to any book ever,” according to introducer Kayleigh Marinelli, ’19), and her images accompanied her, we were allowed a unique step into a writer’s psyche. I don’t think I’ve ever commented on a reader’s voice before—perhaps I should more often, as they are always so affecting—but I can’t help but mention it when it comes to Bianca Stone. She presents her words slowly, deliberately, allowing her audience to savor every syllable. She speaks at a low register, so it doesn’t feel very much more significant in sound than a whisper, but with a rich resonance that requires attention. How do you make that happen? I found myself wondering over and over, as she executed each one of her pieces with such confidence, a calm sort of calculated boldness. How does one get there? How does one dominate a podium so gracefully, let alone create such entrancing pieces? When you figure it out, will you let me know? 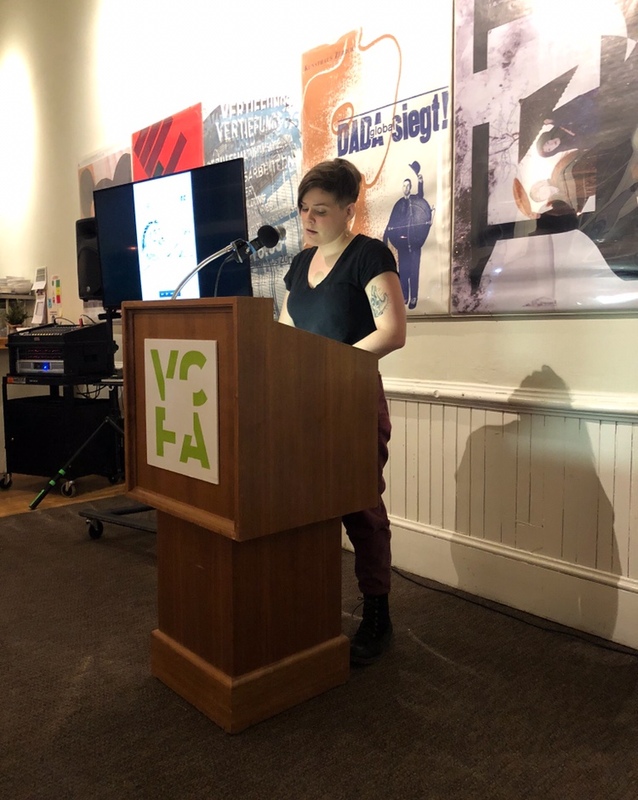 https://frontmatter.vcfa.edu/wp-content/uploads/2019/02/IMG_6142.jpg 528 748 Laura Kujawa https://frontmatter.vcfa.edu/wp-content/uploads/2018/09/VCFA-Logo-300x167.png Laura Kujawa2019-02-26 23:57:062019-02-26 23:57:26Fiction, Memoir, and Poetry--Oh My!